In this video I explain how to make an heliostat, which is a mirror that orient itself automatically to reflect the Sun light always towards a predefined target. 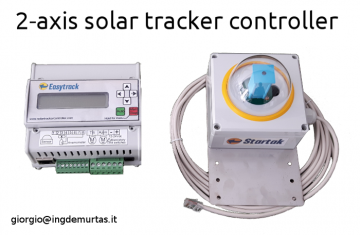 The Sun tracking control system can be purchased here. 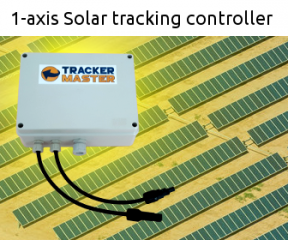 Thank you for posting the two, excellent, videos on YouTube showing your heliostat directed by a light direction sensor . Very impressive , very interesting and genuinely intriguing. I have been interested for some years now in building an heliostat that actually does what it should – I mean to put constant light on a target . But without much success . The method being to use Micro controllers to calculate and then point . But the calculations ..! Although I’ve heard mention of your approach before this is the first time I’ve seen it demonstrated or described . Its intriguing because I couldn’t have imagined a ” light direction sensor ” – and especially one so small – to be so accurate . If I understood properly you say that you built it yourself . Amazing ! They don’t seem to be things that exist anywhere else or are made by anyone else. Anyway I was very impressed by your method and would love to build one myself.